Colorfront On-Set Dailies has been awarded a 2012 Engineering Emmy by the Board of Governors of the Academy of Television Arts & Sciences. 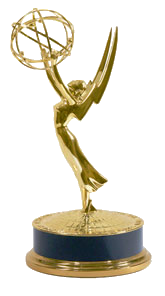 The Emmy was presented at the Awards Ceremony on Wednesday, October 24, 2012 at the Dolby Theater in Hollywood. Within the past two years the entire high-end HD episodic television industry has experienced a seismic shift and moved from shooting 35mm film negative to digital. A new generation of digital cameras raised the quality bar, allowing productions to jump from 35mm film – skipping tape – and adopt file-based digital workflows. This eliminated the need for negative stock, photochemical development, telecine and video transfer, offering great savings to productions while achieving exceptional production value and quality. Colorfront On-Set Dailies allowed high-end episodic television shows that switched to digital file-based workflows to process and deliver multiple hours of footage each day so that dailies requirements could remain unchanged and deliver color graded, sound sync images with burn-ins in multiple file formats for editorial, production review, DVDs, viewing copies etc. Colorfront On-Set Dailies was introduced in the US at NAB 2011, and quickly became the de-facto standard for the leading labs and high-end post-production facilities to process hours of digitally acquired material daily. This has changed the way high-end episodic television productions are created.